When copying or moving a file or folder, the permissions may change depending on where you move the file or folder. When copying folder or files from one folder to another folder or from one partition to another partition, permissions for this files or folders may change. When copying a folder or file within same NTFS partition, the copy of the folder or file inherits the destination folder permissions. 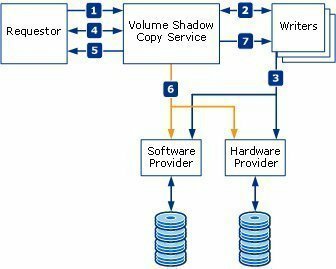 When copying a folder or file between different NTFS partitions, the copy of the folder or file inherits the destination folder permissions. 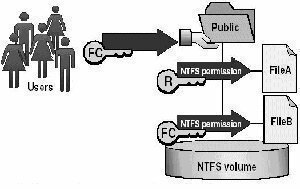 When copying folders or files to non NTFS partitions such as File Allocation Table (FAT), the files or folders will lose their all NTFS permissions. Note: To copy folders and files within same NTFS partition or between NTFS partitions, you must have read permissions for the originating folders and for the destination folder you should have write permission. When moving a file or a folder, permissions may get changed depending on the destination folder permissions. 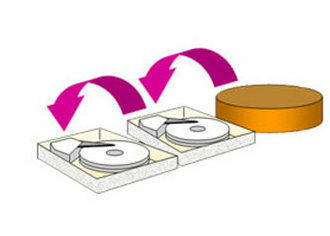 When moving a file to a folder within the same NTFS partition, the folder or file will retains its original permissions. When moving a folder or file between different NTFS partitions, the file or folder will inherit the destination folder permissions. 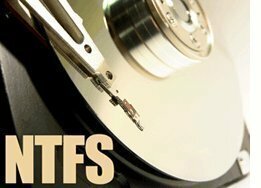 When moving files to folders on NTFS partitions to non NTFS partitions the folders and files will lose their all NTFS permissions, as NTFS permissions are not supported by non NTFS partitions. Note: To move folders and files within an NTFS partitions you must have both permissions, for the destination folder you should have write permission and modify permissions for source file or folder to configure the options. You need to have modified permission for folder or file to move as Windows 2000 will remove the file or folder from the main folder after copying it to the folder destination. What if i got two copy of file that been shared within same server, one of the of copy; ntfs permission corrupted and another one still remain perfect. I need to copy back permission from perfect one to corrupted one. How it can be done?? 141 queries in 0.492 seconds.